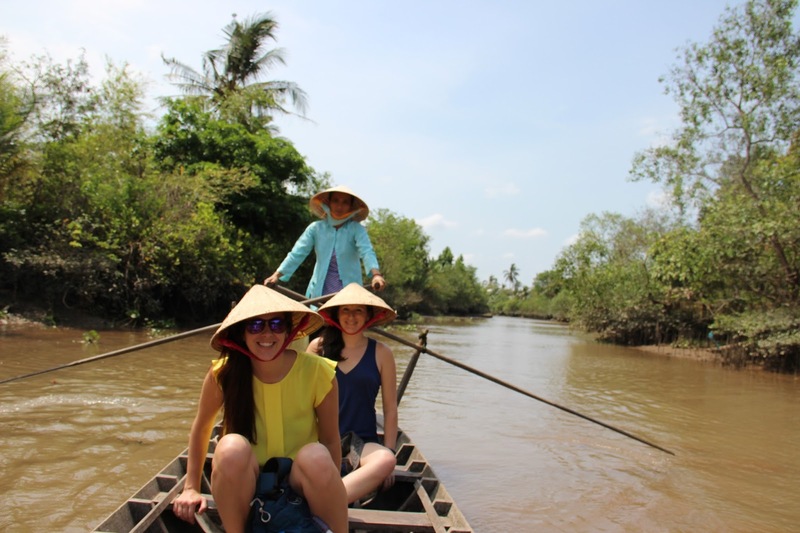 Against our guesthouse's recommendation, we decided to try to make it all the way to Vinh Long because Tabitha's 2009 Vietnam book said that was the best place to go for a Mekong Delta tour. 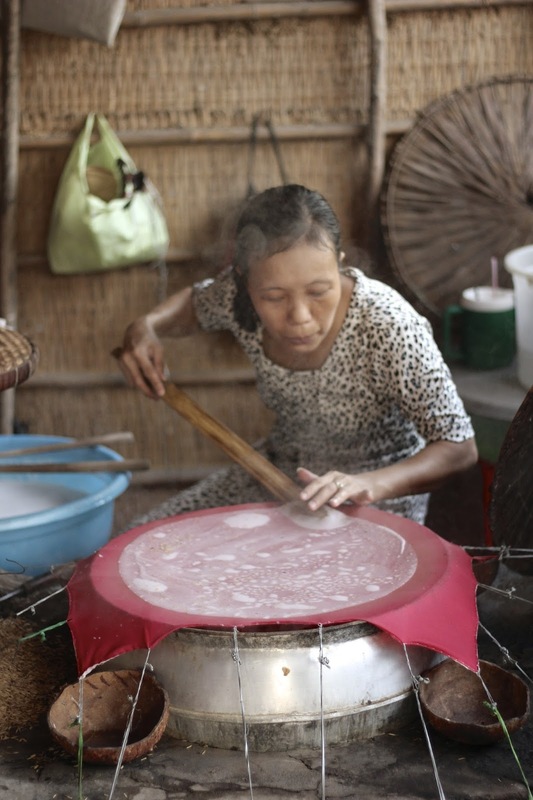 The other option was Can Tho, but we'd heard that it was touristy and awful. 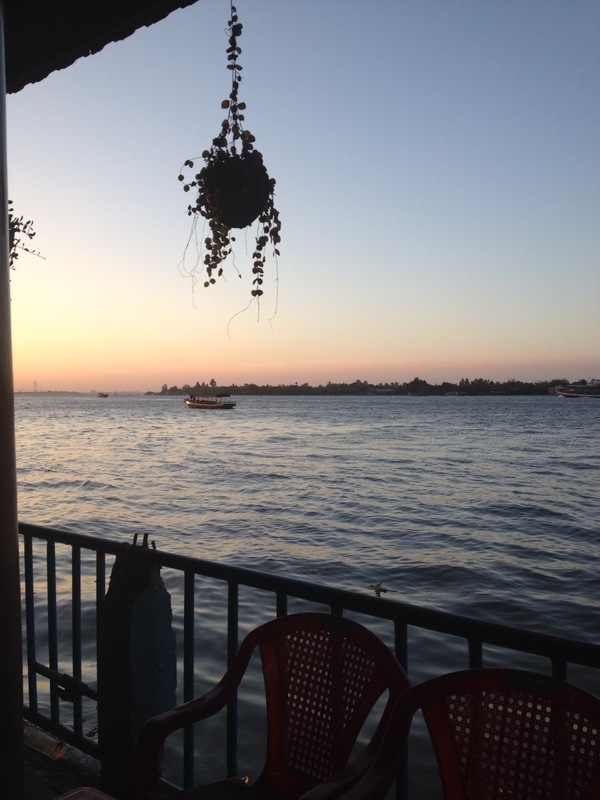 So, Vinh Long it was! 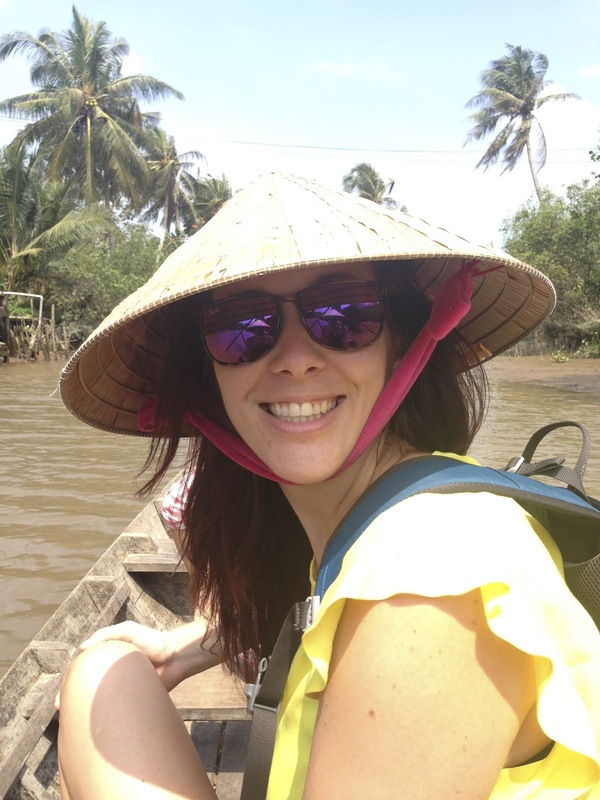 When we "landed" at our first bus stop, Can Tho, we were overwhelmed with people trying to get us to use them for whatever we needed. However, all we needed was another bus ticket. 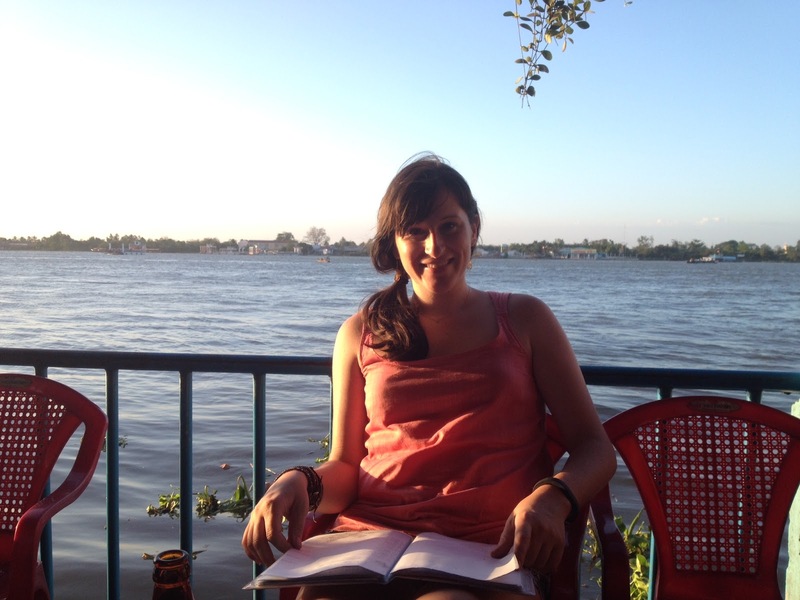 This was where I noticed the next difference between Cambodia and Vietnam: the language. It's tonal so sometimes it seems like they're yelling, but they aren't. It was very hard to get used to! Anyway, We walked into a ticket office, but they told us to walk to another office down the way (imagine a strip mall). Apparently, they were all talking about where we were going because our tickets were written before we spoke a word to the ticket counter clerk. Interesting! Oh! This was also the bus where some guy tried to make friends with my sister and could only understand English if it was written. She had a full conversation without any sounds being made. Tab: "Why? I don't give my number to strangers." "I'm looking for a best friend." That wasn't even the most entertaining part of this bus stop! I used the bathroom at the station. It was just a hole in the ground in a room that was about 1,000 degrees. It was a pretty horrible experience. I was recovering from it as I walked out and everyone at the food stall outside started yelling at me. Apparently, you had to pay to use it. I hadn't had a chance to exchange money! Greatttt! They were not happy to be being paid in USD. As this was all happening, Tabitha came up with a stranger who was carrying our bags and said we needed to go to the bus. After lots of confusion and somehow managing to get change, we ran to the bus. When my foot stepped onto the bus it started moving. My other foot was barely off of the ground! 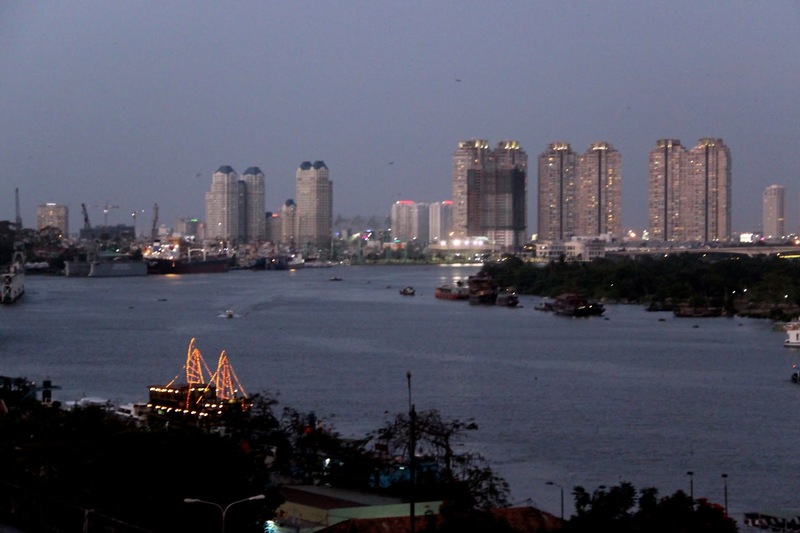 Once in Vinh Long we walked to one of the three hotels and got a room with a balcony. Then, it was time for some food! 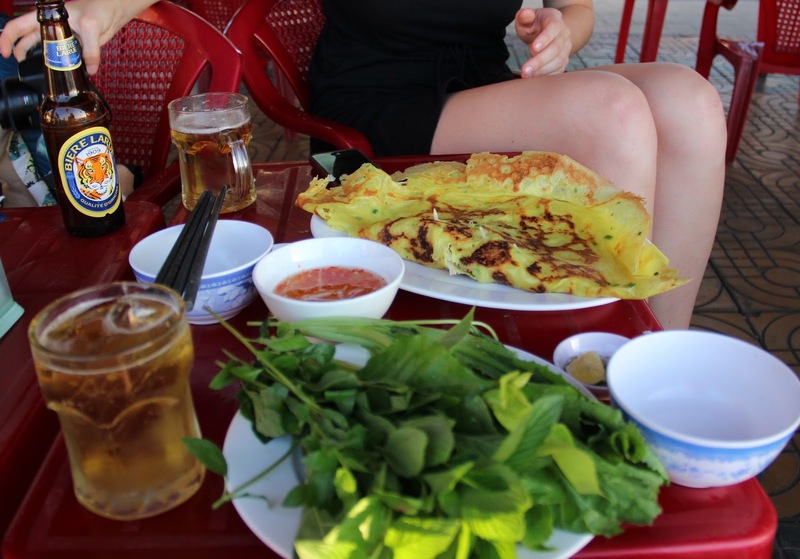 I had my first bánh xèo, a fried rice crepe, and it was so delicious. I could have eaten 6 of them, I think! However, it was only a snack before we headed out into the market for dinner. We enjoyed walking through the market and seeing all of the super fresh produce and all of the fragrant spices. If you go, be sure to take the time to stop and smell everything... except for the stinky fish. 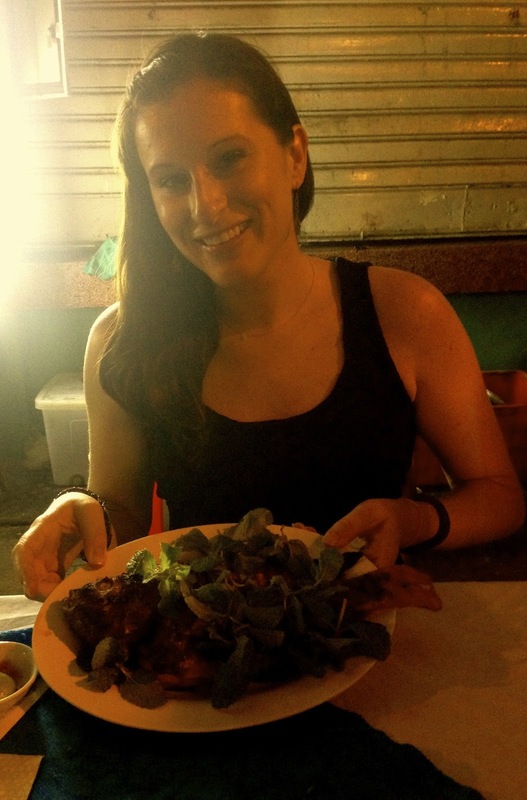 Afterwards, we found a street vendor and I had some chicken wings while Tabitha had the beef. We sat in little kiddie chairs at a little kiddie table. Pretty comical! 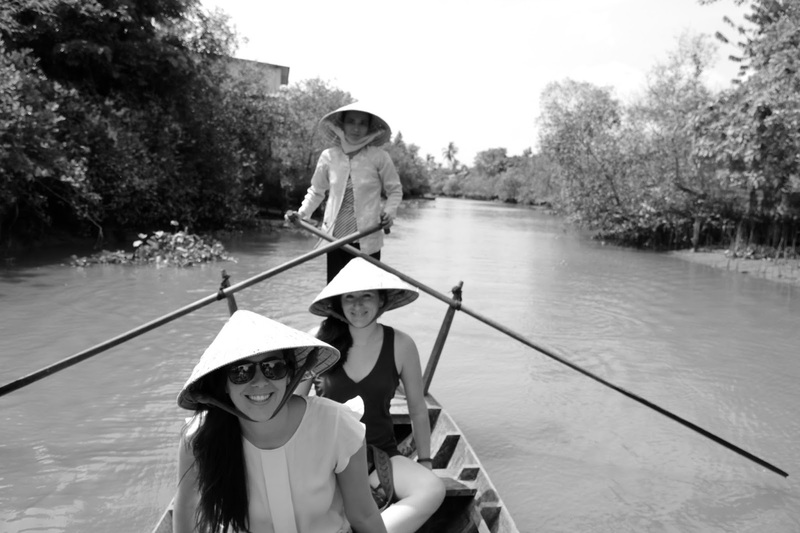 First thing in the morning, we headed out for a half day tour on the Mekong Delta. We really wanted to see Cai Be Floating Market, but it's literally only a few boats these days. Apparently, a lot of boats are selling wholesale now and everything else is taken into town to the street markets. We got to see other stuff, though, and the boat ride was nice! 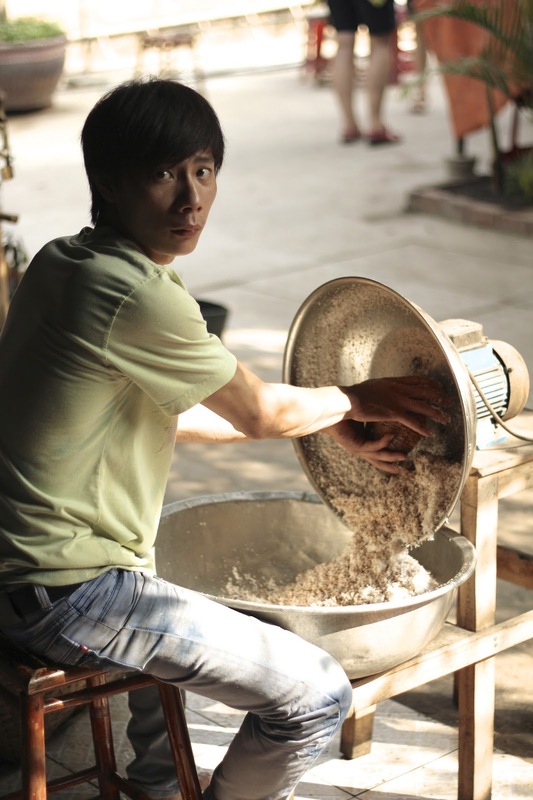 We stopped in a small village where we were able to see the production of some delicious coconut candy and rice paper. They had 5 different flavors of candy and we bought all 5 (each)! The guide was a little pushy to buy stuff, but we held strong and only bought a few things that we wanted. There were also super cute puppies there, which we were happy to play with! 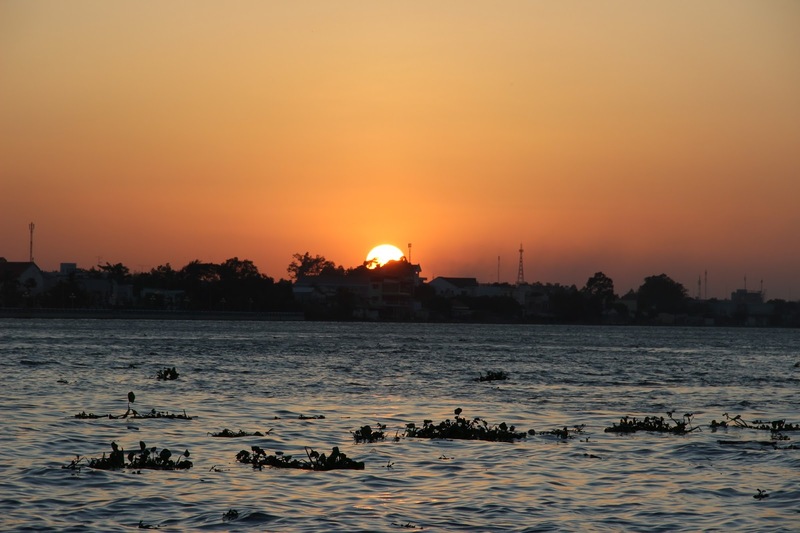 We were able to take a smaller boat around the delta, too. 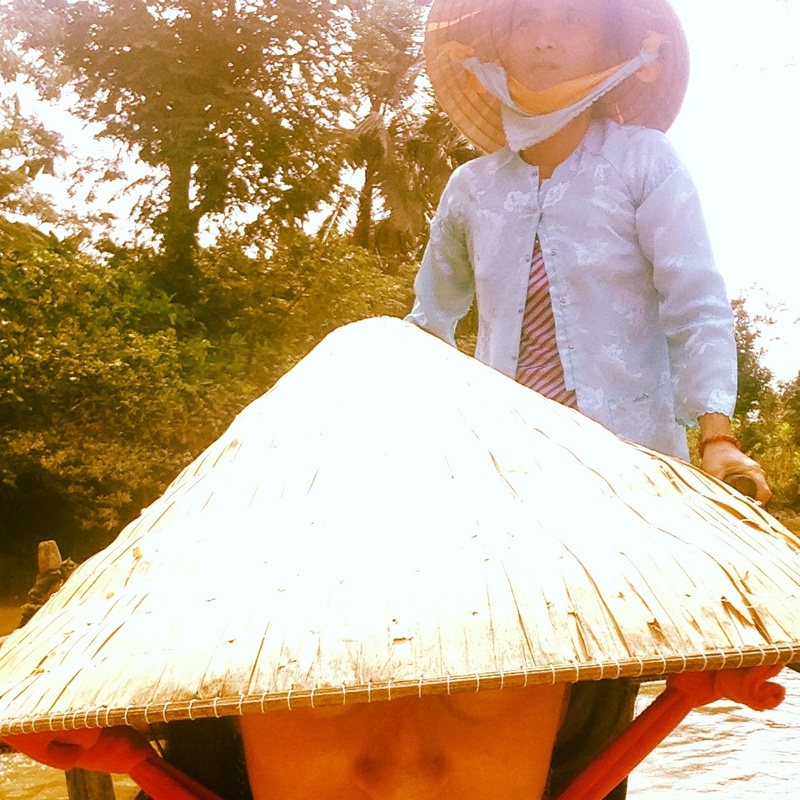 I was pretty pumped to wear the nón lá, the Vietnamese "leaf hat." It was a nice, quiet trip and we had a really good time. I'm happy that this was included in the ticket price. 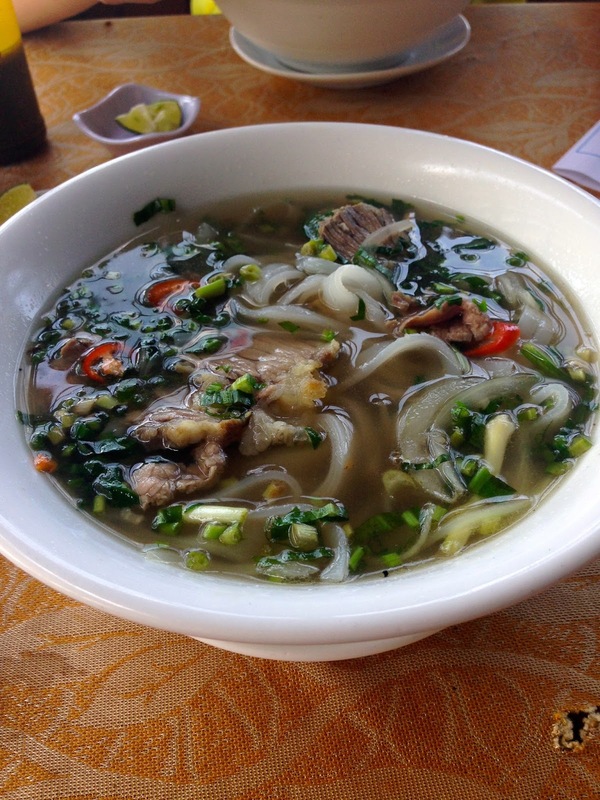 When we got back, we grabbed our first bowl of pho before we headed for the bus. It was a mini bus and, like most things in SE Asia, I didn't fit. They made a girl change seats so that I could be on the end and all was well... after they giggled about how big my feet were. 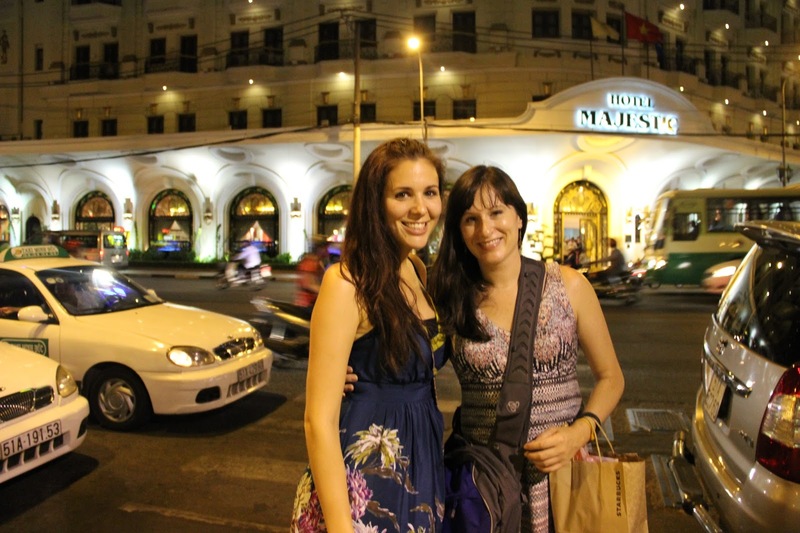 After 3 hours we were in Ho Chi Minh City and headed to the famous Hotel Majestic (thanks to our generous dad). Comfy beds, hot water, a pool, etc... it was bliss! We checked out "Happy Hour" on the rooftop, as advertised on their website, but it didn't actually exist. We got drinks anyway, enjoyed the breeze, and walked to the night market. We were a bit early so, to kill time, we decided to get crappy pedicures while we waited. It killed time, but they made you pay separately to get your toes painted and everything else. We didn't buy anything at the market, but we did have delicious food from a pop-up restaurant that was BBQing. When it was all said and done, Tabitha declared it was the best fish that she'd ever had. Success! To wrap up the night, we had some wine back at the hotel for $10/glass and vowed to never drink there again!